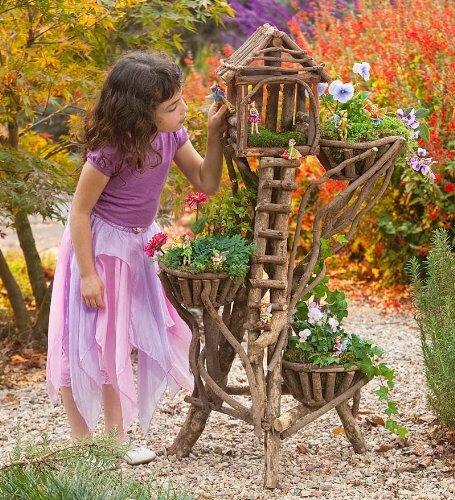 This unique planter is a wonderful conversation piece, and it's made from a renewable resource. Harvesting the roots that grow along the base of trees in Latin American rivers doesn't harm the trees, and in fact actually helps them grow. The roots are shaped by hand to form each original planter, and once dry it becomes very strong and sturdy. Made in Latin America, the three-tiered planters are suitable for use indoors and out. Sorry, gift wrap not available. Exact size will vary, but approx. 33"H x 22"W.